This Constitution makes an important step toward Protestant theology in refusing to distinguish clearly the two sources of Revelation. It speaks of a progress of Tradition and utilizes the expression “living Tradition”, in the manner of the Modernists. How does DV alter the doctrine of the two sources of Revelation? DV leaves aside the doctrine of the councils of Trent and Vatican I on the “two sources” of Revelation (Tradition and Holy Scripture), for making Tradition and the Magisterium converge into Scripture alone: “sacred tradition and Sacred Scripture […] in a certain way merge into a unity and tend toward the same end. […They] form one sacred deposit of the word of God” (§ 9 and 10). Note in the passage the expression “in a certain way (quodammodo)”: things are left in flux without daring to affirm the error frankly. We will find elsewhere this manner of speaking. It is an important step toward reconciling with the Protestant heresy that denies Tradition as the source of Revelation. How does DV speak of a progress of Tradition? According to the infallible doctrine of the Catholic Church, Revelation terminated with the death of the last Apostle4: There is thus no objective progress of the deposit of the faith (by new truths that would be revealed); at the most, there is a subjective progress (a more precise definition of truths contained in the deposit of the faith). Without making this major distinction, DV admits a progress of Tradition: “Now what was handed on by the Apostles […] develop[s] [proficit] in the Church with the help of the Holy Spirit. […] For as the centuries succeed one another, the Church constantly moves forward toward the fullness of divine truth until the words of God reach their complete fulfillment in her.” (§ 8). How did DV introduce the Modernist notion of living Tradition? In paragraph 12, DV says that Holy Scripture should be read taking into account “living tradition of the whole Church“. This is also an ambiguous expression which could ultimately receive an orthodox interpretation (the immutable Tradition received from the Apostles also continues today to be transmitted by the current, living Magisterium of the Church), but which evidently, in context, favors the Modernist idea of a Tradition that is living because it is the expression of the sense of the faith of the people of God, and thus susceptible to evolution. It is this latter meaning that will be used after the Council: In the name of living Tradition, the Conciliar Church will try to excommunicate Msgr. Lefebvre5 and to justify the ‘hermeneutic of renewal in continuity’ (the claim that post-conciliar Church is in continuity with the Church before the Council, because there is a continuity of the living subject, even if there is discontinuity on the doctrinal plane6). Are there other errors in DV? It could also be added that DV encourages ecumenical translations of the Bible,8 which is an unheard-of novelty in the Church. An interview with Fr. Paul Morgan, former superior of the SSPX District of the U.K. The following is an English translation of an interview Fr. Paul Morgan gave in French on December 7, 2017. I am Father Paul Morgan, ordained by Bishop Lefebvre at Ecône in 1988. After that, I was 4 years in the district house in London as an assistant. Following this, I was the 1st Superior of the Society of St. Pius X in the Philippines for 4 years, until 1996. Then 2 years as a school principal at St Mary’s School in England and then 5 years as a prior at Post Falls in Idaho, USA. And then 12 years as district superior of Great Britain, Ireland and Scandinavia, until 2015. 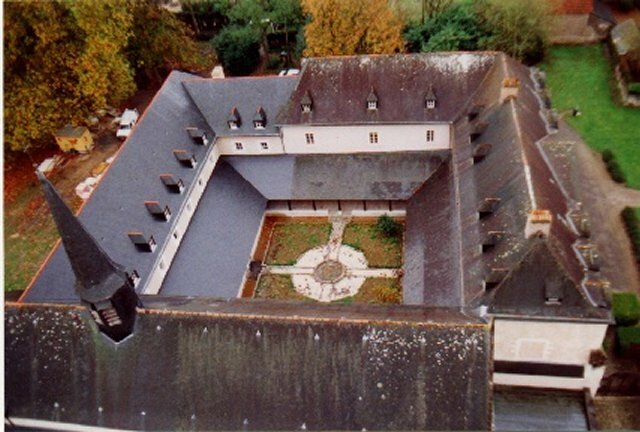 Then sabbatical year at Montgardin, which I had asked for. And then 2016-2017, Prior in Vancouver, Canada. Right now, I am outside the Society, since I resigned on August 9 of this year  because of the marriage affair. Why did the marriage affair make you quit? It seemed to me, it always seems to me, that it is an essential compromise to accept the principle that priests representing modern dioceses come to us, in the bastions of Tradition, to receive the promises of the bride and groom. Even if in practice we are a little restricted in such things, we have accepted the principle. And that’s why, in concrete terms, I wrote my letter of resignation. I think there were many of us, quite a few priests and superiors themselves, who had reacted against the new way of doing things, even before the 2012 chapter. There were many of us in Albano in 2011 to say to Bishop Fellay, very respectfully, that these steps should not be continued in order to reach an agreement with modernist Rome. So, we have already done a great deal in the Society, among ourselves, with the superiors to denounce and oppose these approaches. For example, in 2012, the district of Great Britain was ready, in its entirety, to break away if they made a false agreement with modernist Rome. So it is not just this year that we have begun to react, but we have already for years. Why didn’t you react publicly? I think the manifesto, the statement of the 7 deans and superiors of friendly communities in France, was very, very well put. So publicly, that was already explained. And I can also say that I have done things in order and according to the rules, by sending a manifesto signed by several priests from Canada to Bishop Fellay and to Menzingen, explaining quite simply, the serious problems with these new directives for receiving marriage vows. So right away we talked about it on the Internet, so it became public, etc.. So, I chose to do things that way. Now, I speak more publicly, since I’ve had a little time to organize myself – and we left Canada with a suitcase in our hands, not knowing where to go because we never thought of being alone, on the outside like that. What prospects for the 2018 General Chapter? Unfortunately, I do not have much hope in the general chapter next year. It seems to me that with the change of minds that has been taking place for several years now – so that we think that Rome is now kind, Rome loves us, we can make an agreement or do more good saying inside the Church, as if we were outside the Church until now, it’s unbelievable, isn’t it – so I don’t have much hope. And we can see that good priests like the 7 deans, for example, who have made a very good document – and a special hello to Father de la Rocque in exile in the Philippines, a country that I like very much but which is still in exile – we see what happens to priests who denounce problems respectfully and rightly: we punish them! So I think the superiors in the chapter will simply do what Menzingen tells them to do. At the moment, I have no official apostolate. I am in contact with a lot of priests, in France and abroad, as well as with the faithful, encouraging and supporting them. Also with priests who have left [the SSPX] already a few months or a few years ago, for reasons that are in the end quite similar. It is very encouraging to see the strong religious communities in France, religious men and women. I am in contact with them but I understand that this is a difficult situation for these communities, which may be at risk of sanctions if they show themselves too publicly in agreement with priests like myself. Nevertheless, we celebrate Mass, we pray, we visit confreres, we have been able to preach a retreat already, we have made visits on the right and on the left. I get a lot of invitations from other countries to come and help. But at the moment, for rather practical matters we have to organise ourselves before embarking on any future activities. But I think, it seems to me that in June-July 2018, we are going to shoot into action. I think there will be more positive reactions in the coming year. In connection with the bishops consecrated by Bishop Williamson? Yes, if need be, of course, since we need bishops for Sacred orders and confirmations. Consecrating bishops in this emergency, as Archbishop Lefebvre himself had said, can be repeated. This is not something reserved exclusively for Archbishop Lefebvre. And yes, we are quite willing to collaborate with the faithful, with faithful Catholics. I conclude by saying that we always have hope in the Good Lord. I think of Archbishop Lefebvre who was alone. He resigned some the Holy Ghost Fathers so as not to have any part in the destruction of his congregation. So priests like him and certainly many others, did this for important reasons. Let us try to make contacts, to gather together in order to help other priests who, for the moment, remain within the Society, hoping to organize something to help them as also [to help] the sound faithful. There’s a lot of work to be done. We have hope. And then, finally, Our Lady of Fatima spoke about diabolic disorientations. It seems to me that what is happening here is an example, right here in 2017, [an example] of this confusion of mind. So, as Archbishop Lefebvre said, we must remain faithfully, we must keep the principles of the fight for the faith, the good fight and then, if we have to suffer by doing this, God’s Holy will must be done. Vatican II is not a council like the others. This council, which was held in St. Peter’s Basilica in the Vatican in four sessions from 1962 until 1965 under the pontificates of Popes John XIII (1958-1963) and Paul VI (1963-1978), was the occasion, if not the principal cause, of the gravest crisis the Church has known in its history. The studies concerning this council are numerous, but often voluminous and very technical. We have thought that it would be useful to provide for Catholics of good will a relatively short text, explaining what Vatican II declared and what is unacceptable for Catholics who want to remain faithful to the traditional infallible teaching of the Church. After a brief introduction on the authority of the council, we will briefly analyze each of the 16 documents, presenting them in a thematic order. An ecumenical council is an assembly of bishops of the entire world convoked by the pope, who conducts its meetings (called “sessions”), whether directly or via legates, and who approves the texts, so that they have a binding value for the whole Church. There have been in the history of the Church twenty ecumenical councils since the Council of Nicaea in 325 until the First Vatican Council in 1870. Is Vatican II a council like the others? Vatican II is an atypical council because the popes who convoked and conducted it, John XXIII and Paul VI, declared that it was not a dogmatic council, like all the preceding councils, but a pastoral council. In other words, its aim was not to define doctrine against errors, but to perform an updating (aggiornamento) of this doctrine to adapt it to the thinking of our contemporaries. Does Vatican II contain infallible teachings? Here again, differently than all the preceding ecumenical councils, the Second Vatican Council does not contain any infallible teaching. For a council to be infallible, it must pronounce solemn judgments, which this council refused to do. Even if it is not infallible, can it not be admitted that Vatican II was assisted by the Holy Ghost? Our Lord Jesus Christ promised the assistance of the Holy Ghost for the transmission of Revelation: “the Paraclete the Holy Ghost, whom the Father will send in my name, he shall teach you all things, and suggest unto you all things whatsoever I shall say to you.” (Jn 14:26) [Rheims version]. But, without renouncing the transmission of Revelation, the Council proposed the aggiornamento of the Church, i.e., its adaptation to the modern world, notably by introducing into the Church “the best expressed values of two centuries of ‘liberal’ culture”10, and by working to “smooth the way toward unity of mankind.”11. Why cannot the Holy Ghost aid the Church in acquiring the values of liberal culture, once purified and corrected12? Liberalism is an error condemned by two centuries of teaching from the Magisterium of the Church. Such a condemnation is infallible in virtue of the Universal Ordinary Magisterium of the Church. As the Holy Ghost cannot contradict Himself, He cannot assist the council fathers in making these values of liberalism enter into the Church. Why cannot the Holy Ghost aid the Church in working toward the unity of mankind? The Church was founded to save souls and unite them to Our Lord Jesus Christ. In so doing, the Church works indirectly for peace, propagating charity in souls: “Seek therefore first the Kingdom of God, and the justice of him [the union to Our Lord Jesus Christ by grace]: and all these things [including peace] shall be given you besides.” (Mt. 6:33) [Rheims version]. But today Freemasonry seeks to reshape the unity of mankind (“globalism”) by human means and by positively excluding Our Lord Jesus Christ in virtue of “secularism”. As was especially seen after the Council (with the secularization of the States and inter-religious meetings), the men of the Church collaborate in this work by means of religious liberty, ecumenism, and inter-religious dialogue. The Holy Ghost cannot assist the Church in working toward an end that is not Her own. ON THE SUBJECT OF THE CONCILIAR CHURCH, its existence, and its nature, several studies have been published in Le Sel de la terre1. In Le Sel de la terre 59, the Conciliar Church is described as the society of the baptised placed under the direction of the current Popes and bishops so as to promote Conciliar ecumenism, and who, consequently, accept the teachings of Vatican II, practice the new liturgy and go by the new Canon law2. 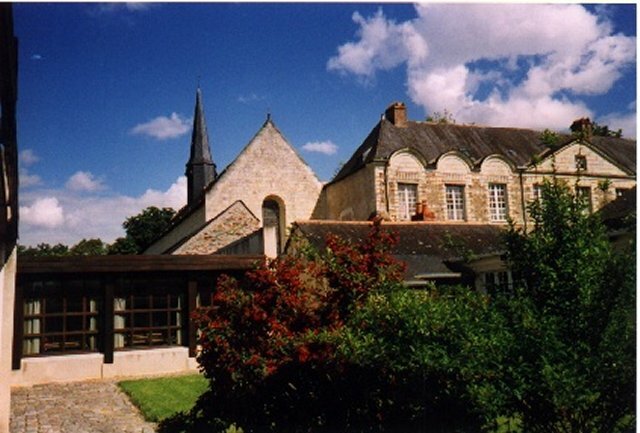 In Le Sel de la terre 97, the Conciliar Church was shown as a transition between the Catholic Church and the Counter-Church. The conclusion of this article gave, as an example of this transition, the Hellfest, Hell Feast, right at the heart of the French Vendée region, where over one hundred thousand youngsters have come these past few years during the summer in order to celebrate the devil. Between their Catholic grand parents celebrating God on feast days like Corpus Christi and these demonic grandchildren, only one Conciliar generation was enough to make the transition. Let us also mention the “Little Vatican II Catechism” published in Le Sel de la terre 93 (Spring 2015), which shows how Conciliar teaching was influenced by masonic ideas; warnings about the Counter-Church (see Le Sel de la terre 92, Summer 2015, p. 134-138); and “News from Rome” published in Le Sel de la terre 89, 91 and 94, exposing the Conciliar Church efforts to establish a secular globalisation in concert with Freemasonry. From these various studies, we can conclude that the Conciliar Church is being used as an instrument at the hands of Freemasonry in order to compel the Catholic faithful to work volens nolens [Editor’s Note: “willingly but at the same time involuntarily”] towards general globalisation, i.e. the building of the masonic “Temple”. This “Conciliar Church” is imbued with the principles of 1789. These are Masonic principles with respect to religion and religions in general and with respect to civil society. It is an imposter inspired by Hell for the destruction of the Catholic religion, of its Magisterium, of its priesthood, and of the Sacrifice of Our Lord3. It is therefore a strict duty for any priest wishing to remain Catholic to separate himself from this Conciliar Church, so long as she will not return to the tradition of the Church Magisterium and of the Catholic Faith4. May we accept a canonical recognition? When Archbishop Lefebvre founded the Society of St. Pius X (in 1970), he obtained a canonical erection for the Society as a pious union from Bishop Charrière, of Fribourg. It remained canonically recognised by Rome for five years. From that moment on, a clear demarcation line had been drawn between the two “Churches”. The « Rome of neo-Modernist and neo-Protestant tendencies » would soon be called Conciliar Rome by Msgr Benelli5, a name which was to last. The canonical “suppression” of the Society of St. Pius X was carried out by Bishop Mgr Mamie on May 6th, 1975. Archbishop Lefebvre used to say this was ”irregular and unjust anyway“6. This “suppression” was consequently considered as null and void by the Archbishop as well as by those who follow the rules of the Catholic Church, while it was regarded as valid by those in line with the Conciliar Church. Nonetheless, we hear more and more about a “canonical recognition” of the Society of St. Pius X by the current Vatican authorities. May this kind of recognition be accepted? Per se, lawfulness in the Catholic Church is a good thing, and it is even necessary. Archbishop Lefebvre asked for this validation in 1970, and obtained it. Yet, today, if a canonical recognition were to be granted, it would be according to the new Code of canon law, just like in the case of the jurisdiction which was recently granted by the Pope to the Society of St Pius X. This would be a good enough reason to refuse such a recognition7. — We would become part of Conciliar pluralism, Tradition being recognized as well as the charismatics, the Focolari, the Opus Dei, etc. It is truth put on the same level as error, at least in the public opinion. — It would allow in our chapels a number of faithful who clearly mean to remain Conciliar, Modernist and Liberal, with all the consequences, since weakening of faith leads to bad morals. — Finally such a recognition would place us directly under superiors who are themselves under Masonic influence. Divine Providence allowed that Archbishop Lefebvre and those who have followed him remain exempt from this masonic influence: it would be a serious lack of prudence to deliberately submit oneself to it. Freemasonry started exactly three centuries ago (24th June 1717). After destroying Catholic States (through revolutions from the 18th to the 20e century), and enslaving the Church (the Alta Vendita plan implemented by the Vatican II Council), will it succeed in extending its influence over Archbishop Lefebvre’s work? This would look like its victory down here on earth. As a conclusion, a canonical solution could only be considered with a doctrinally converted Rome, a Rome that would have proven this conversion by working for the reign of Our Lord Jesus-Christ and fighting against its enemies.